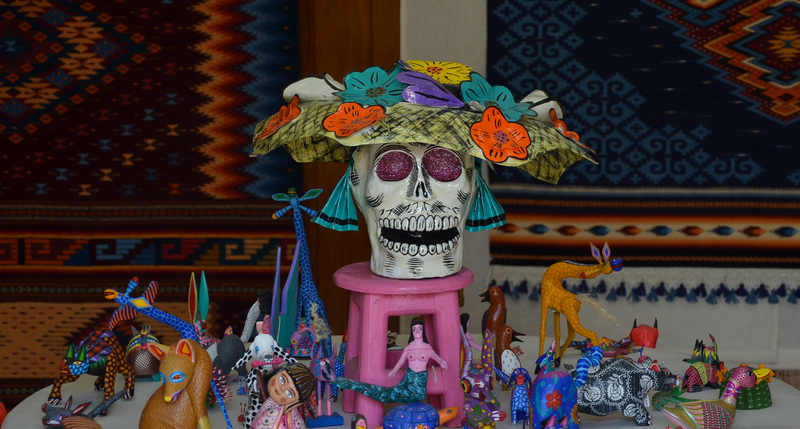 Animated images of skulls associated with Day of the Dead were intended as social satire — a good laugh on politicians and the climbing bourgeoisie in political 19th and 20th century Mexico. 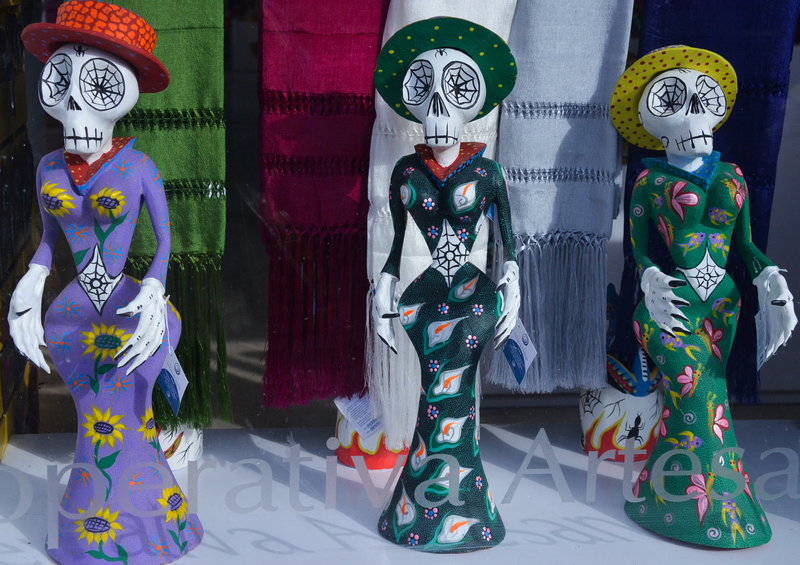 Today, the image of skeletal bones dressed in fancy attire that dance through the night are part of the Oaxaca art scene. It appears there is great competition for who can be the most creative. During my weekend wanderings, I captured a few of these whimsical characters, sure to bring a smile or to remind one of a long-lost relative. Not only do they dance, they play musical instruments, sip afternoon tea at cafe windows, and beckon passersby into the most elegant courtyard shops. 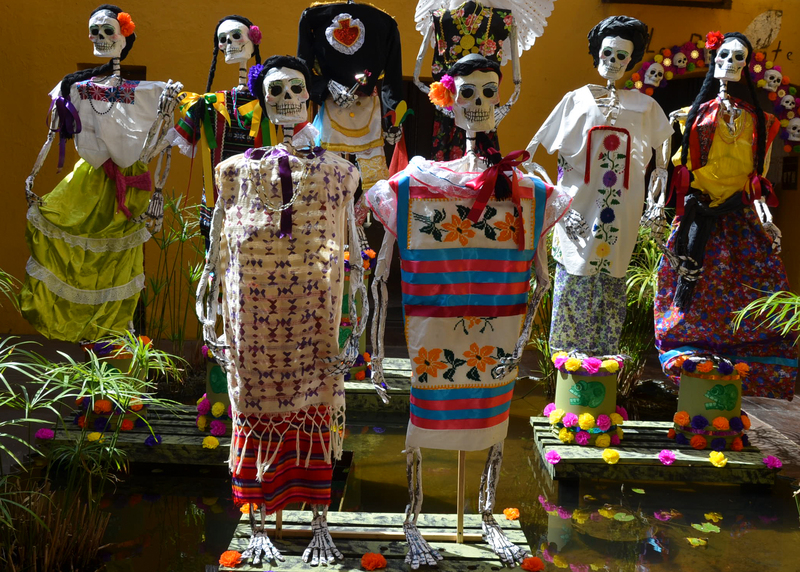 One of my favorites is this group of ladies in the Los Danzantes Resaurante courtyard off Macedonio Alcala, each attired in indigenous dress representing the various regions of Oaxaca. As I meandered down Calle 5 de Mayo, this abuela and abuelo (grandmother and grandfather) couple drew me in to the Artisans Cooperative. He was in definite serenade mode. 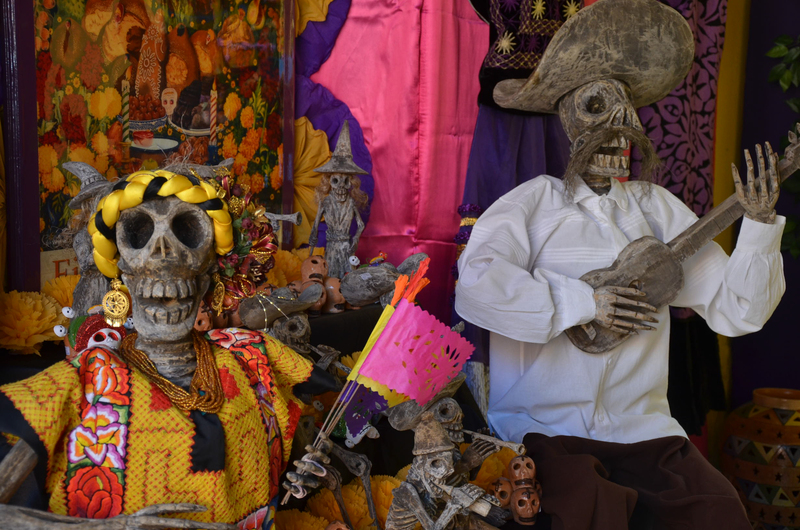 The humor, playfulness and celebration that welcomes Day of the Dead has an entirely different symbolism in Mexico about death and dying than it does in the U.S.A. The mockery of life causes us to laugh at ourselves, and it also reminds us that life is a continuum and death is not to be feared. It’s a healthy approach that is shared by many cultures around the world. 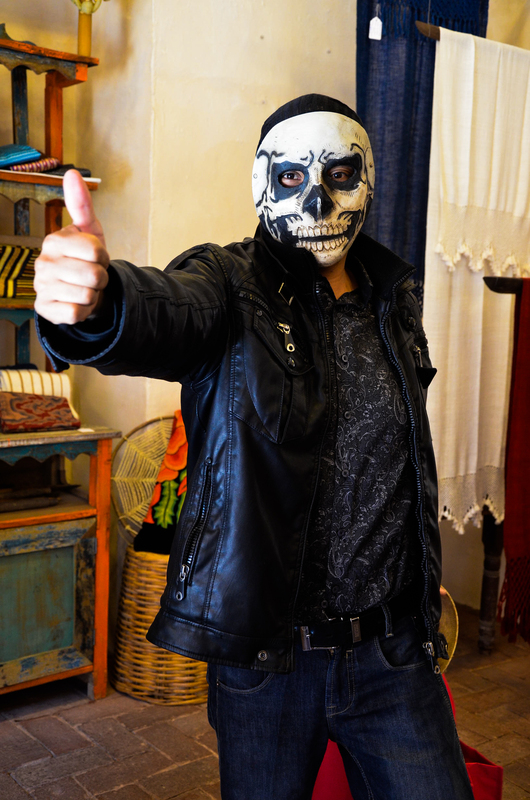 At the Museo Textile de Oaxaca, I caught this masked man in full Day of the Dead regalia. He is definitely a live wire. 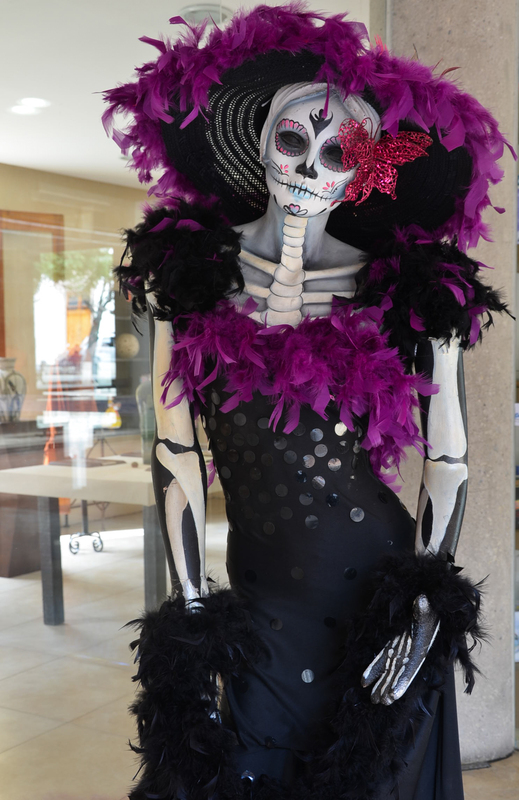 And at El Nahual Gallery on Calle 5 de Mayo, this lovely Catrina welcomes folks to take a closer look. And, if you are so inclined, you might want to pack one up and take her home in your suitcase! 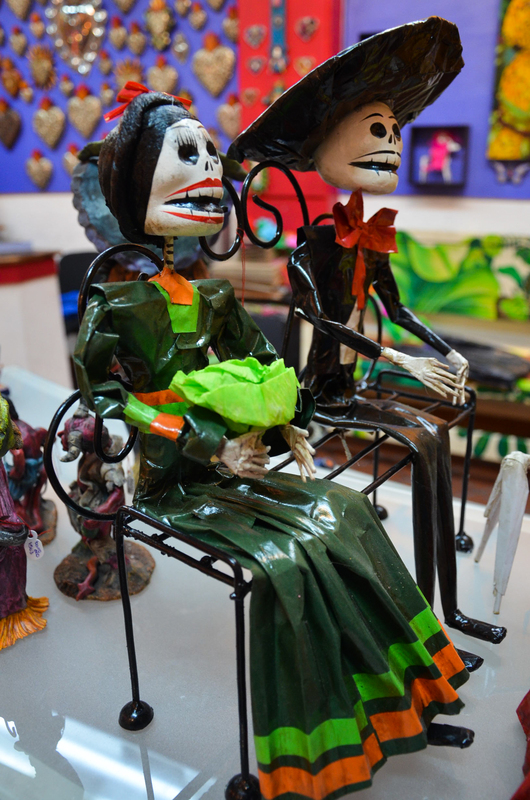 Lots of folk art shops in the city offer variations on the theme for sale. 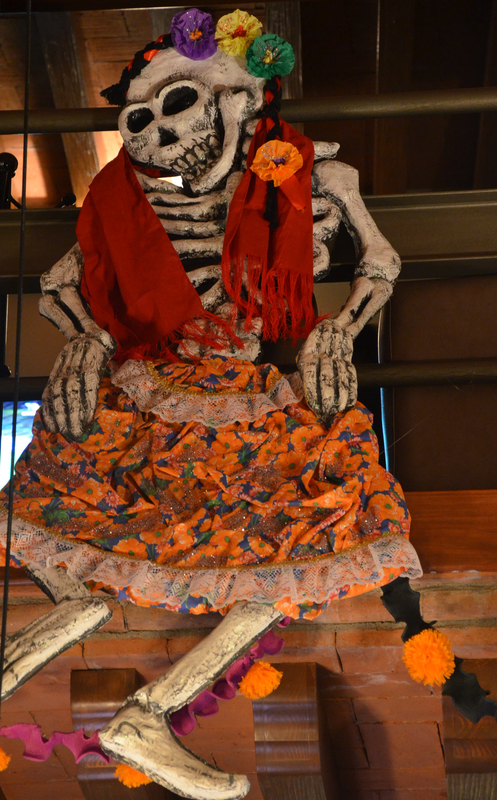 Feliz Dia de los Muertos. 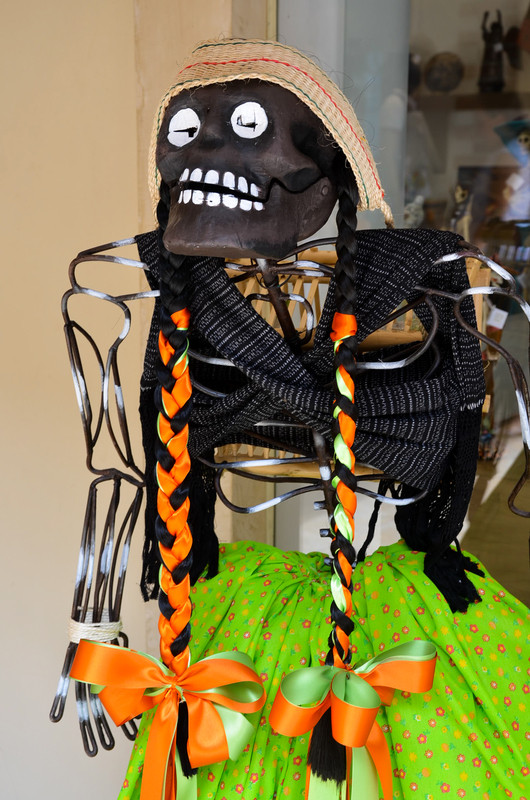 This entry was posted in Cultural Commentary, Travel & Tourism and tagged blogsherpa, Catrina, day of the dead, Mexico, Oaxaca. Bookmark the permalink. Glad you are feeling better Norma! Looks like there is a whole lot of ‘shaking the bones’ going on. Is the 2nd figure a person in costume or a mannequin dressed up. It’s so 3-D.